PortAventura World, the leisure complex located to the south of Barcelona, between the towns of Salou and Vila-seca in the province of Tarragona (Catalonia) is the most visited resort in Spain and the sixth in Europe. Constant innovation and expansion of its areas have been rewarded with various accolades. See the awards received. All fans of the leading portal Worldofparks.eu have expressed once again their preferences for the best rides and parks in the whole of Europe. BEST EVENT SHOW IN AN EUROPEAN AMUSEMENT PARK 2017 for Dance Revolution for the fourth consecutive time. We are delighted to inform you that during this February the Hotels PortAventura, El Paso, Caribe and Gold River have renewed their "Garantia de Qualitat Ambiental", an environmental quality seal awarded by the Generalitat de Catalunya through its Directorate General for Environmental Quality, which must be reapplied for every three years. Hotel Mansión de Lucy was awarded the seal for the first time last March, and currently all 5 hotels in the resort hold this quality guarantee. The Distintiu de Garantia de Qualitat Ambiental (DGQA) is an eco-labelling system for products and services intended to promote the design, production, marketing, use and consumption of products and services that meet certain environmental quality requisites beyond the mandatory requirements established by current regulations. PortAventura World Parks & Resort receives a special mention in the 3rd edition of the Re Think Hotel Awards, given out as part of the Fitur tourism fair. Last Wednesday 18th January, the third edition of the Re Think Hotel Competition took place during the Fitur tourism fair. Among the prize-winners was PortAventura World Parks & Resort, which received a special mention to recognise its hotel project for being developed according to sustainable principles. PortAventura World & Resorts wins 2016 Travel Bulletin Star Award as Star European Theme Park Or Attraction. The Travel Bulletin Star Awards is the UK travel trade's most prestigious awards programme rewarding every sector of the tourism industry. They serve to recognise, reward and celebrate excellence by acknowledging those suppliers that have flourished over the last 12 months and have provided the best products and services possible to UK travel agents. The Environmental Quality Department of the Departament de Medi Ambient i Habitatge de la Generalitat de Catalunya awards the Environmental Quality Guarantee Seal, a system to identify products or services that meet certain specifications that make them more environmentally-friendly. Shambhala receives the accolade of "Best Attraction" at The 2015 Worldwide Attractions Awards. The Worldwide Attractions Awards recognises excellence of the best attractions in the world. Through hundreds of votes cast by seasoned travellers and the general public in the UK, Shambhala was awarded the title of ‘best attraction of the year’ for 2015. 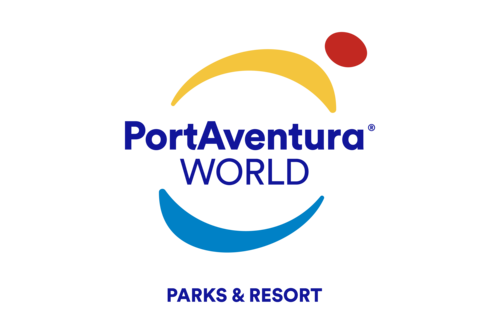 PortAventura has also been named the ‘Best Theme Park in Europe’ at the WorldofParks awards, which have also chosen its show 'Celebration' as the 'Best Show in a European Theme Park'. PortAventura, Caribe, El Paso, Gold River and Mansión de Lucy hotels have been given the highest accolade in the Travelife awards, the Gold Award. Travelife awarded the highest classification to the PortAventura hotels after being rated according to their sustainability criteria. 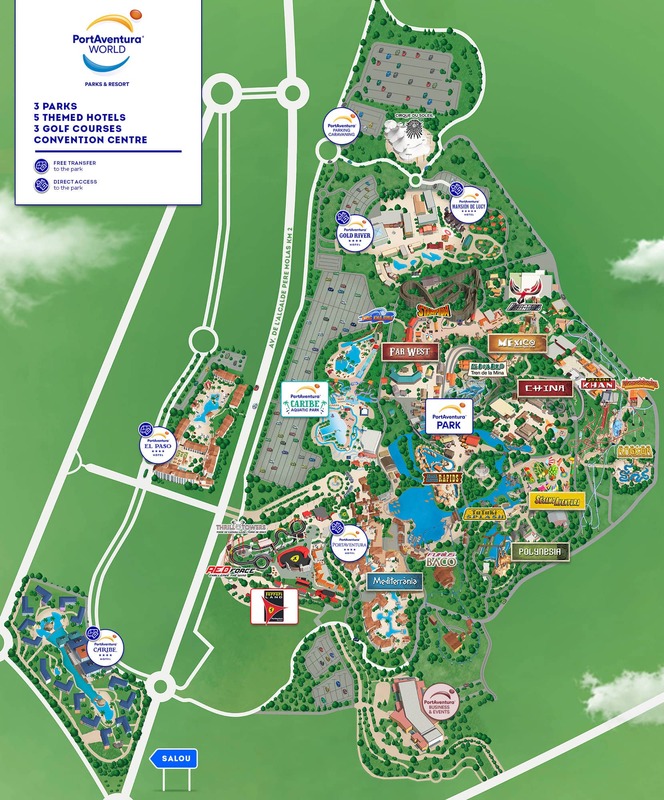 A great review for PortAventura and its commitment to the environment. TripAdvisor’s Travellers' Choice Awards place PortAventura Park as the 2nd best theme park in Europe, and the 10th best in the world. PortAventura Park has received the Travellers’ Choice Award 2015, the highest award granted by TripAdvisor based on the opinions of millions of travellers. TripAdvisor is pleased to award PortAventura Park the Certificate of Excellence 2015. This achievement is the direct result of having regularly received excellent reviews from TripAdvisor travellers. TripAdvisor is pleased to award Costa Caribe Aquatic Park the Certificate of Excellence 2015. The PortAventura hotels have been awarded “Proven Quality 2015” certification-the Thomas Cook Group Quality Seal-for summer 2015. PortAventura Resort hotels have received excellent feedback from guests and above average ratings. Thomas Cook awards this accolade on the basis of strict criteria, focusing especially on service, hospitality, cleanliness and value for money. Recognition of compliance with the Standard in the Hotel Establishment Category for more than ten years has been granted to Hotel El Paso and Hotel PortAventura. TripAdvisor’s Travellers' Choice Awards place PortAventura Park as the 2nd best theme park in Europe, and the 9th best in the world. PortAventura Park has received the Travellers’ Choice Award 2014, the highest award granted by TripAdvisor based on the opinions of millions of travellers. PortAventura, Caribe and El Paso hotels have been given the highest accolade in the Travelife awards, the Gold Award. TripAdvisor®, one of the largest travel websites in the world, awards TripAdvisor certificates of excellence. This award, which recognises excellence in hospitality, is granted only to establishments that have collected excellent reviews from TripAdvisor users. For yet another year, the magazine Kirmes & Park Revue, has held its “European Star Awards” celebrating the best parks and rides in Europe. This time, the Euro Attractions Show took place in the city of lights - Paris. EUROPEAN STAR AWARD – 2013 Best Steel Coaster in Europe, for "Shambhala"
Tez Tour is a tourist group formed by several companies (issuers and recipients), present not only in Russia but also in the former Soviet republics, including the Baltic States (Lithuania, Latvia, Estonia), Ukraine, Belarus, Kazakhstan and Armenia, and in surrounding countries such as Romania and Bulgaria. In addition to having a strong presence in destinations like Spain and Mediterranean countries and the Indian and Caribbean islands. Tez Tour holds a contest in which it rewards several different areas within a number of companies. Hundreds of Spanish tourism professionals attended the British capital to hold business meetings and presentations at the WTM (World Travel Market), which involved 189 countries and 4625 exhibitors. A large part of the Spanish contingent were gathered by the Turespaña stand, an area of 1000 m2 where 16 destinations and 26 companies were represented. WTM held a contest in which companies are awarded in several categories. The Zoover Awards, held since 2009, have grown to become an important tourism industry event. Awards are given to accommodations with the highest score within a country. This year the awards were presented in five categories: Hotel, Tourist Park, Campsite, Bed & Breakfast and Apart-Hotel. PortAventura’s 4-star Hotel El Paso has been awarded one of the Quality Award 2012 by users of the British tour operator Jet2holidays in recognition of the excellence demonstrated in its last season. These awards are based on assessments and surveys on the quality of accommodation, facilities and services used by their customers. PortAventura has received one of the prestigious WTM Global Awards 2014. The UK international trade show par excellence, following a recommendation put forth by the professional journal Hosteltur, wanted to recognise the human resources policy implemented by PortAventura, a company that develops programmes to promote integration in the labour market of groups at risk of social exclusion. The biggest platform of opinions of Benelux travelers has awarded to PortAventura the award of European theme park improvement for the second consecutive year. The choice of this award is based on the scores from Zoover web users, by achieving over 90% rating. This biannual magazine for parents and children has chosen the Gold River Hotel of PortAventura Resort as one of the best hotels to stay with children. The award has been earned by the feedback from readers of the magazine. Tez Tour is a tourist group formed by several companies (issuers and recipients), present not only in Russia but also in the former Soviet republics, including the Baltic States (Lithuania, Latvia, Estonia), Ukraine, Belarus, Kazakhstan and Armenia, and in surrounding countries such as Romania and Bulgaria. In addition to having a strong presence in destinations like Spain and Mediterranean countries and the Indian and Caribbean islands. Tez Tour holds a contest in which it rewards several different areas within a number of companies. In 2010 the German specialist amusement park publication Kirmes & Park Revue, created the “European Star Awards” to celebrate the best parks and rides in Europe. The awards ceremony is usually held during the Euro Attractions Show. The jury was made up of 26 park specialists from around the world, notably "The Theme Park Guy" an expert renowned for having travelled the world visiting amusement parks. EUROPEAN STAR AWARD - Best new European attraction 2012 for “Shambhala”.